Concrete is after water the second most used material. The production of concrete in the industrialized countries annually amounts to 1.5-3 tonne per capita and is still increasing. This has significant impact on the environment. Thus there is an urgent need for more effective use of concrete in structures and their assessment. 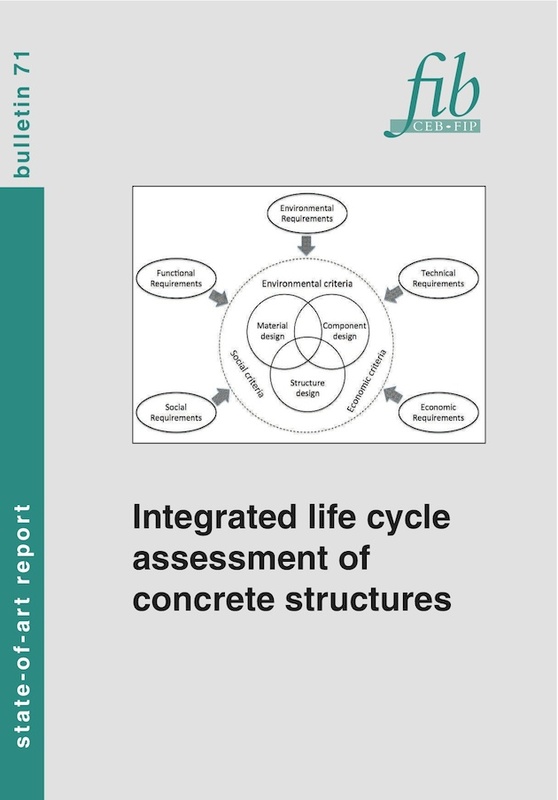 The scope of activities of the fib Task Group 3.7 was to define the methodology for integrated life-cycle assessment of concrete structures considering main essential aspects of sustainability such as: environmental, economic and social aspects throughout the whole life of the concrete structure. The aim was to set up basic methodology to be helpful in development of design and assessment tools focused on sustainability of concrete structure within the whole life cycle. Integrated Life Cycle Assessment (ILCA) represents an advanced approach integrating different aspects of sustainability in one complex assessment procedure. The integrated approach is necessary to insure that the structure will serve during the whole expected service life with a maximum functional quality and safety, while environmental and economic loads will be kept at a low level. The effective application and quality of results are dependent on the availability of relevant input data obtained using a detailed inventory analysis, based on specific regional conditions. The evaluation of the real level of total quality of concrete structure should be based on a detailed ILCA analysis using regionally or locally relevant data sets.